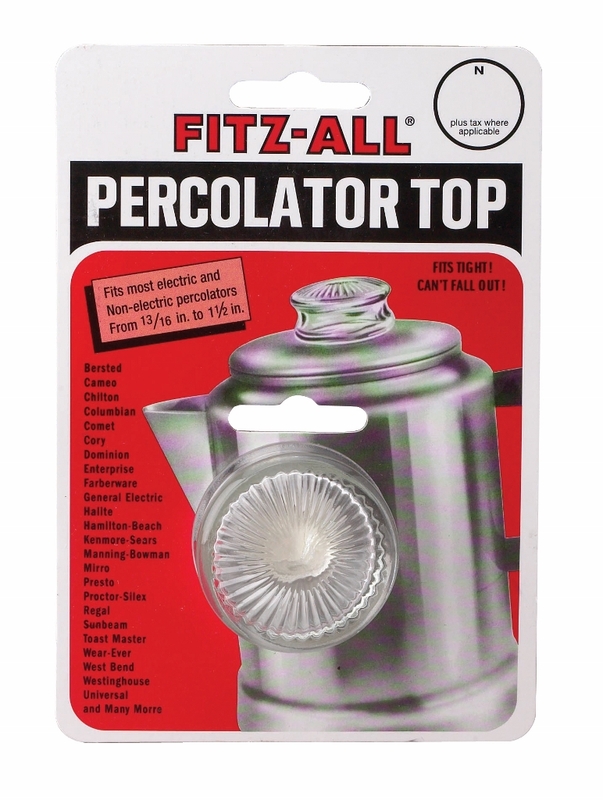 Fitz-All™ glass replacement percolator top fits tight! Fits most electric and non-electric percolators. Replacement top fits tight on most percolators with tops measuring 13/16" to 1.5"